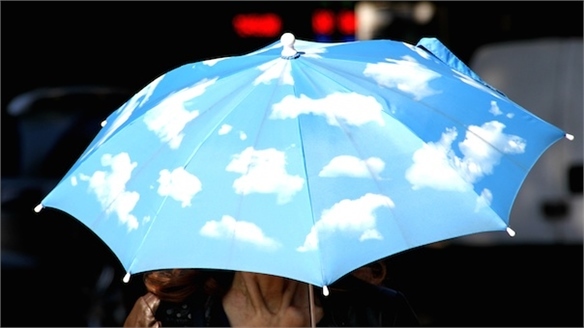 A prototype garment that purifies polluted air around the wearer was unveiled at Beijing Design Week earlier this month. 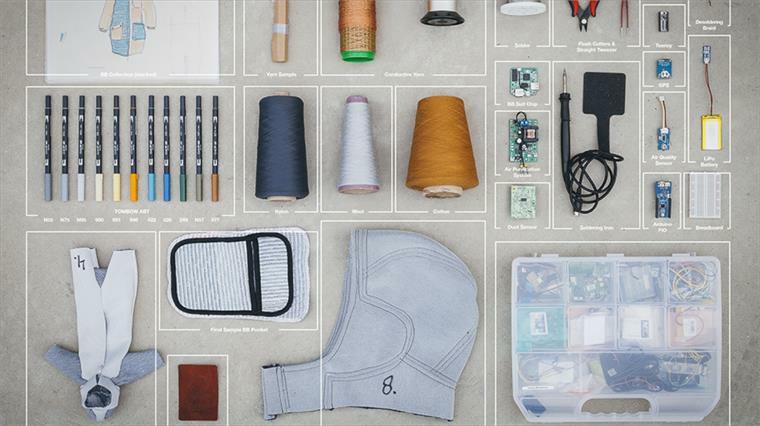 The BB.Suit 0.2 is a collaboration between Dutch designers Borre Akkersdijk, Eva de Laat, Daan Spangenberg and Friso Dijkstra. 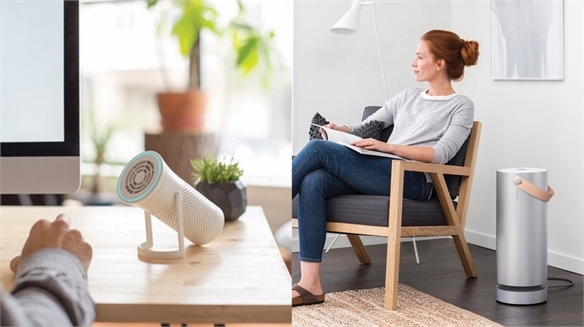 It uses patented 'cold plasma' technology developed by Beijing-based tech firm Squair, which creates reactive oxygen particles that bond to toxic gases, bacteria, viruses and dust, dragging them downwards to create a "purified air bubble" around the user. 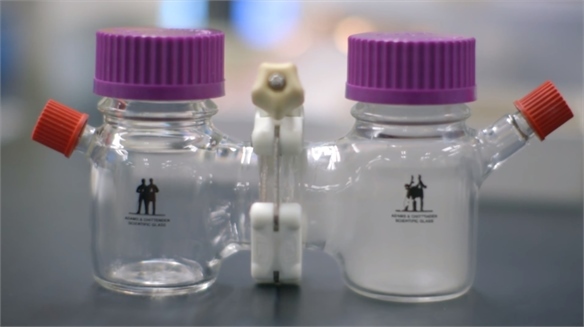 Like the previous iteration of the BB.Suit, unveiled at South by Southwest earlier this year, the BB.Suit 0.2 features an embedded computer chip and air-quality sensors to live-map levels of carbon monoxide, methane and concentrations of liquid petroleum gas. 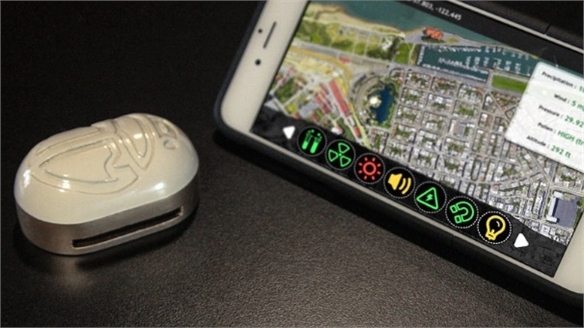 Widespread use of this technology could enable crowdsourced data maps to emerge, creating a citywide picture of air quality to help citizens avoid unhealthy zones, and planners manage emissions. Dutch magazine Want, which was also involved in the project, said the suit showcases "the opportunities of future clothing to contribute to the wellbeing of people living in polluted urban environments". 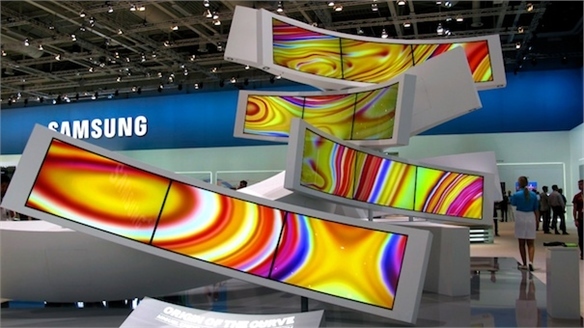 At this year's IFA consumer electronics event, air quality was high on the agenda. 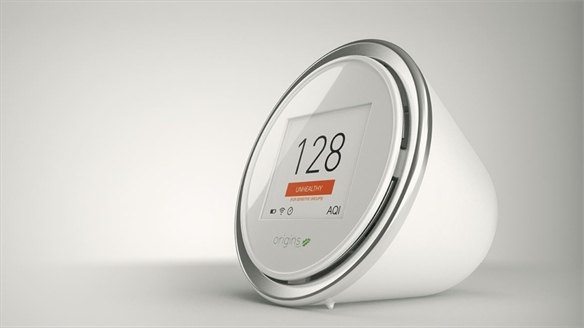 Brands showed a range of new devices to help consumers manage their domestic air quality – see our Home Electronics report for more. 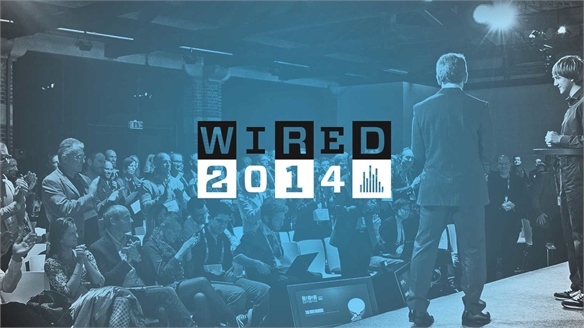 For the latest on smart garments, see Wearables & Fashion, part of our South by Southwest coverage earlier this year. 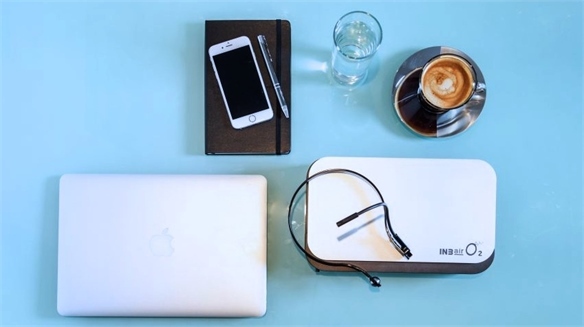 INBair O2: Brain-Boosting Air Purifier Brain-Boosting Air Purifier British air purification tech company Radic8 has designed a portable oxygen purifier, called INBair O2. 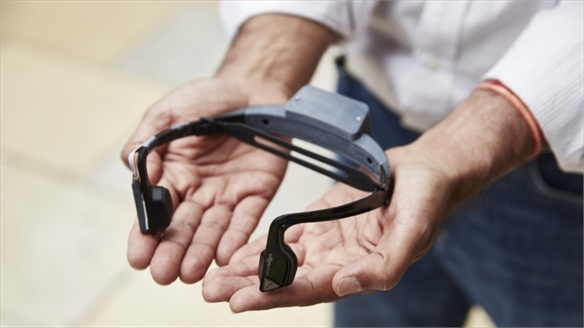 The device could help office workers reduce feelings of drowsiness in the middle of the day and boost their productivity just by inhaling oxygen. 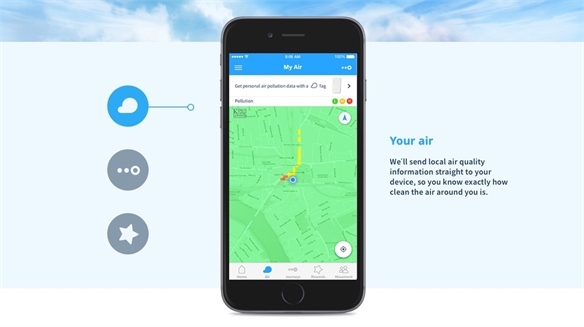 CleanSpace: Air-Monitoring App CleanSpace: Air-Monitoring App CleanSpace is a sensor and accompanying app that monitors air quality in the UK, providing users with data on the pollution in their area, and promoting action to improve environmental wellbeing. 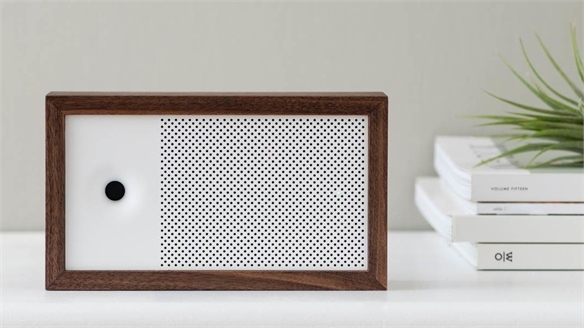 Awair: Smart Air Monitor Awair: Smart Air Monitor Awair is an internet-connected device that monitors indoor air quality, providing consumers with the knowledge required to create a healthier environment. 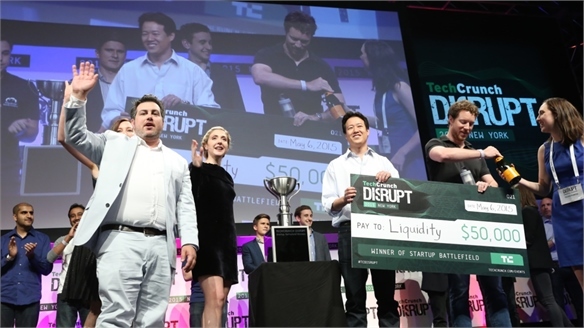 TechCrunch Disrupt 2015: Superchargers TechCrunch Disrupt 2015 Technology news site TechCrunch introduced a host of tech start-ups to potential investors and the world's media at the New York edition of its Disrupt event last week. 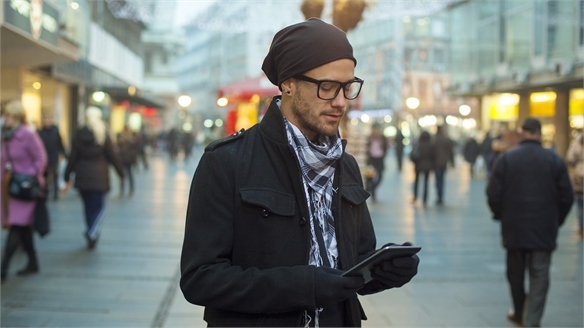 Stylus highlights three companies set to change the way we charge our devices, plus the winner of this year's Start-up Battlefield competition. 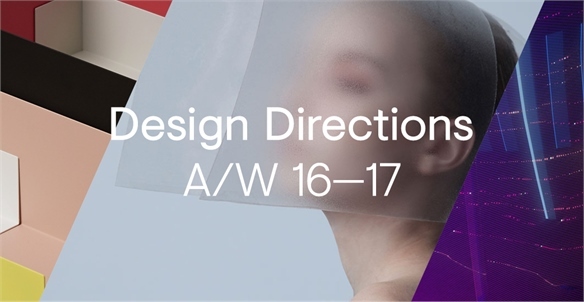 Design Directions A/W 16-17 Design Directions A/W 16-17 Design Directions for Autumn/Winter 2016-17 respond to a technology-driven world with product stories that encourage physical interaction. 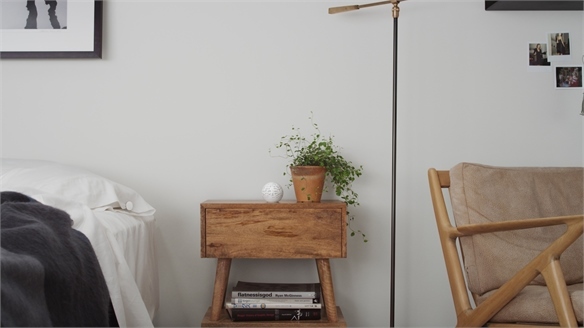 Fresh ideas provoke an introspective outlook to restore wellness, layer practicality with playfulness, and outline new perspectives on light and reflection. 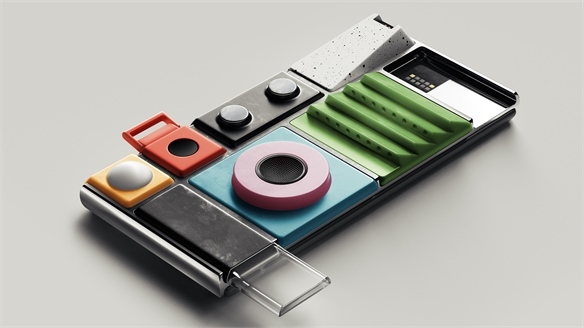 Finding inspiration in innovative approaches and future-focused ideas from across all sectors of design – from architecture and fashion, to transport and packaging – our Design Directions highlight three key trends for A/W 16-17 product design development: Restore, Layer and Outline. P&G: Psychology Meets Clothing Care P&G: Psychology Meets Clothing Care "Why are 80% of the clothes we at one time loved left unworn in the closet?" 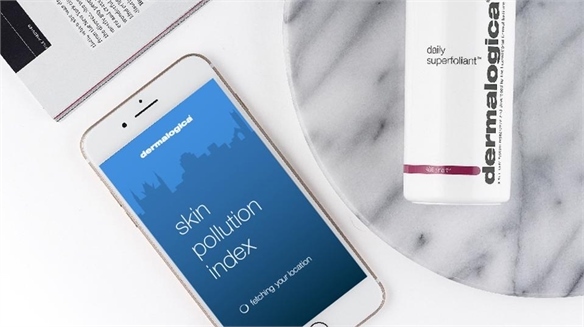 This was one of the key questions raised during multinational manufacturer Procter & Gamble's Future Fabrics Forum, held last week in New York. Redefining Bodies: Super-Suits, Wearables & Revisiting Skin Redefining Bodies From material technologists and computer-savvy fashion designers, to fine-art photographers and sportswear developers, the reassessment, protection and enhancement of the human body is fuelling a hotbed of progressive ideas. 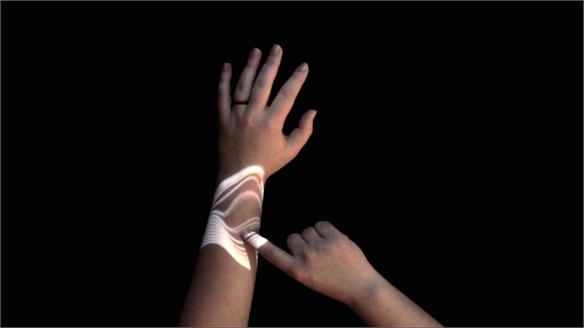 Smart materials, 3D-printed personalised components, sensory stimulants, and a revaluing of skin itself, are all contributing to changing attitudes. Wired 2014 Wired 2014 The fourth annual Wired conference in London brought together a host of insightful speakers from the worlds of science, media, entertainment and engineering. 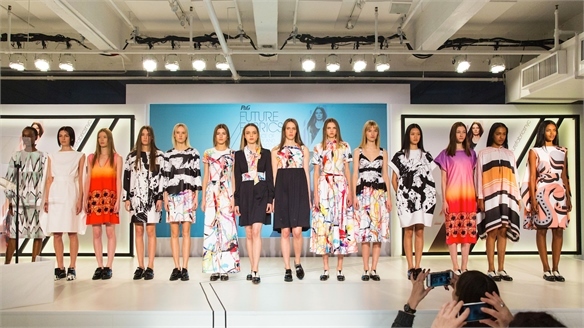 Over two days, they presented radical futures for material design, wearable tech, health innovation and more. 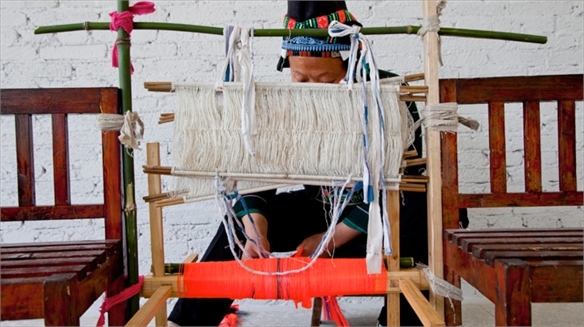 Beijing Design Week 2014: Exploring Cultural Craft Beijing Design Week 2014 Beijing Design Week (September 26-October 3 2014) has become an occasion to celebrate the country’s burgeoning design scene. The fourth edition saw new additions to the roster, including a design film festival; a brand and e-commerce platform for promoting Chinese designers; and Plug-IN Stations, architect-designed kiosks dotted around the capital to help locals and visitors engage. IFA 2014: Home Electronics & TV IFA 2014: Home Electronics & TV Home electronics manufacturers focused on simple solutions for hyper-connected, hyper-busy consumers at this year's IFA – whether in the form of ultra-efficient robot cleaners or smartphone-controlled air purifiers. 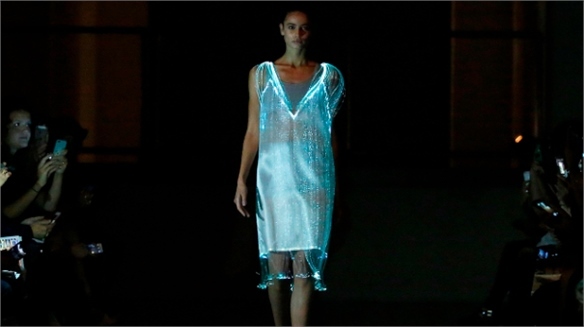 LFW: Richard Nicoll Debuts LED Dress	LFW: Richard Nicoll's LED Dress British designer Richard Nicoll opened his London Fashion Week catwalk show yesterday with a show-stopping dress infused with micro LED lights. 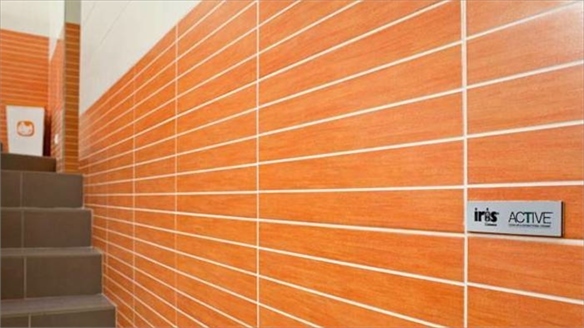 Active: Pollution-Ridding Ceramic Tiles Pollution-Ridding Ceramic Tiles As air pollution becomes a bigger issue, particularly in cities, designers are inventing imaginative ways to solve the problem. 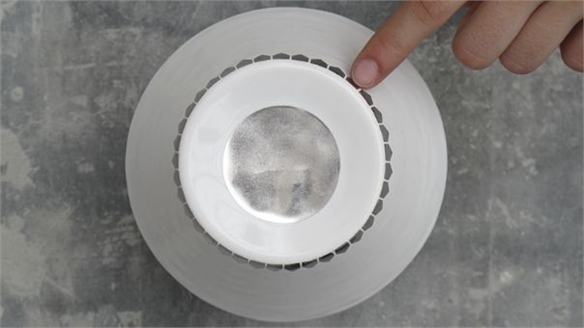 The latest example is Active – a ceramic tile with a titanium oxide coating that not only makes it self-cleaning, but also able to purify the air of its surrounding environment. Deactivate Deactivate Deactivate focuses on materials that aim to help us find balance in our constantly connected, technology-driven lives. 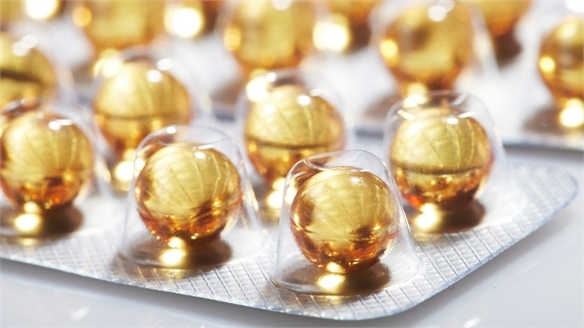 Metallic fibres and coatings are seen applied to compelling projects in an effort to disconnect users from their devices. 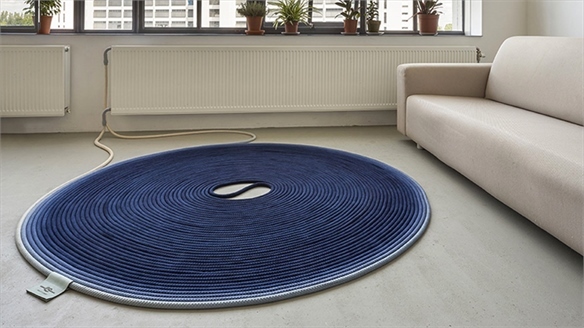 Designers and specialists encourage mindful technology use and look towards innovations within sustainable energy generation and manufacturing processes. 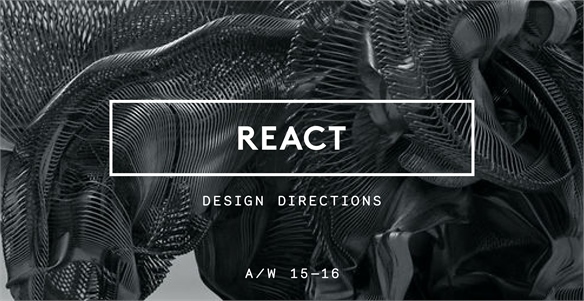 React A/W 15-16 React A/W 15-16 Intelligent materials and applied technology call our expectations and perceptions into question in React. We garner the transformative qualities of our Materials Focus A/W 15-16 trend Responsive and a synthetic take on the Dark Frontiers trend from our A/W 15-16 Colour Spectrum for an illusionary direction defined by dynamic forms and smart surfaces. An enquiry into the behavioural qualities of materials, React appeals to industrial and performance sectors looking to an engineered and technological approach to design. 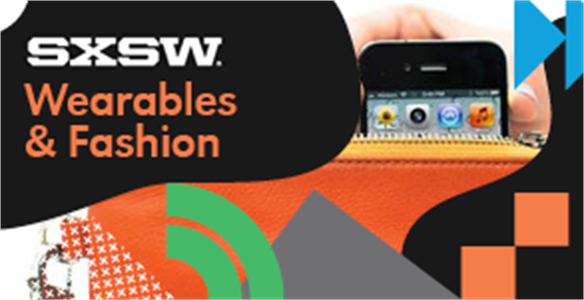 SXSWi 2014: Wearables & Fashion SXSWi 2014: Wearables & Fashion How can fashion brands use wearables to add value to their products, and can luxury brands take the lead? It was a key question at SXSWi, addressed by a number of ‘fashtech’-focused sessions exploring the opportunities for fashion brands in the digital space. China's Farm-to-Table Movement China's Farm-to-Table Movement Food-safety scares, high pollution levels and flawed supply chains are spurring scores of Chinese consumers to embrace a farm-to-table ethos.